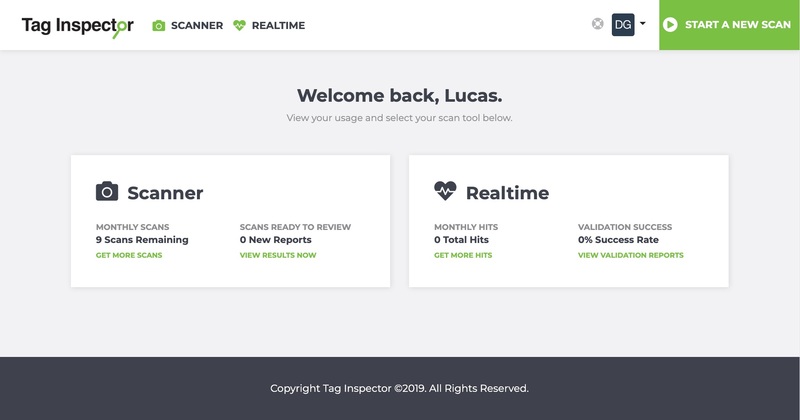 Over the first quarter of 2019, the Tag Inspector team has been hard at work focusing on two main areas of optimization: product usability and user management. As we begin the second quarter of the year, we are excited to announce the release of these new features and functionality! 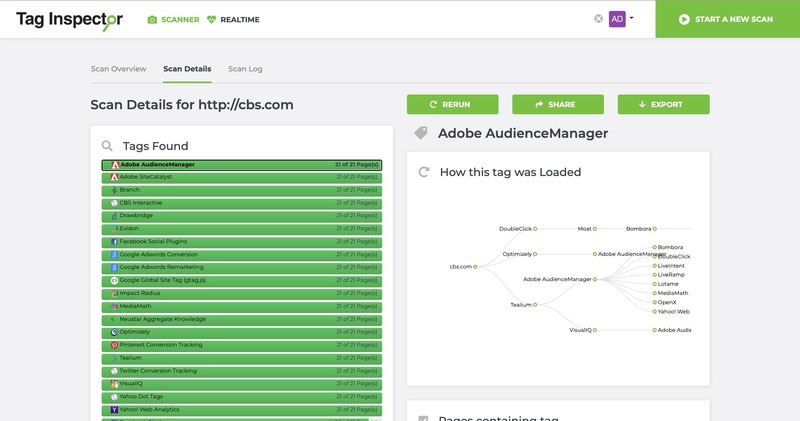 All the features and functionality that your organization relies on for best-in-class tag auditing and monitoring, now with a fresh new look and improved workflows! 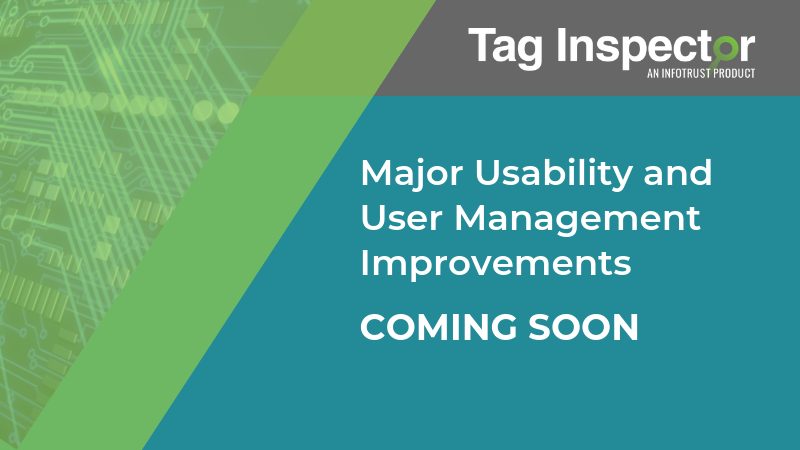 Beginning the week of April 8, 2019, we will be rolling out updates to the Tag Inspector application interface. Let’s take a look at a few of the highlights. We’ve heard user feedback about wanting to maximize utility of Tag Inspector while managing usage within account limits. 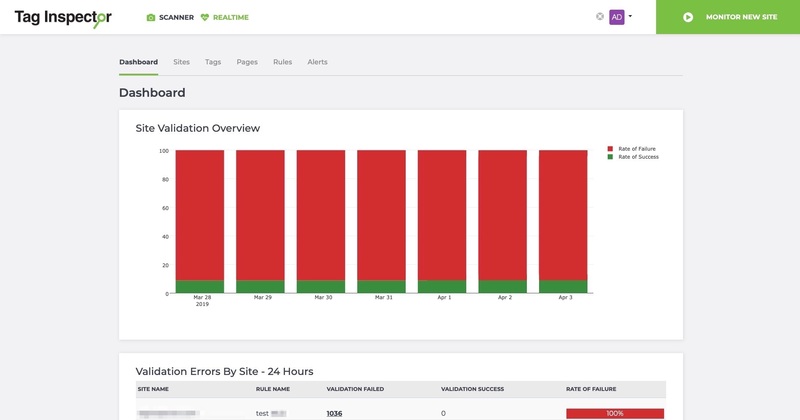 Now you can intuitively navigate between both the Scanner and Realtime modules with more visibility than ever around limits, usage, and recent results. With this improvement, we’ve reduced the amount of steps it takes to see and share data that will help you deliver on your tag governance and organizational goals. We’ve updated the design and report styling to be consistent across both Scanner and Realtime. 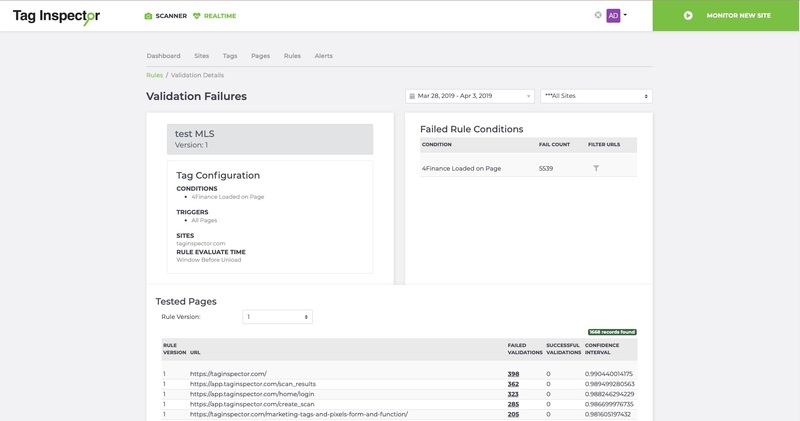 We have also simplified workflows for managing scheduled scans and troubleshooting validation rule failures. In addition to improving our design interface and product usability, our Premium customers will also notice a new section within their accounts for user management. With this update our clients are now able to create different groups within their account so that each group can focus on a particular subset of digital properties or brands. This is especially great for clients who want different levels of visibility or access for certain domains being monitored; this also helps improve the workflow to enable multiple functional teams to access Tag Inspector. 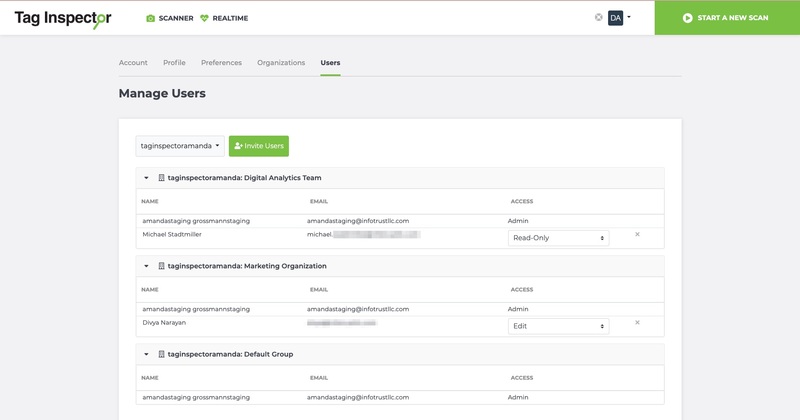 So, in practice, if your marketing organization wants monitoring access for a different set of governance goals than your digital analytics team, you can now have both groups within Tag Inspector and set the access, visibility, and usage for each of these groups. Individual users can then be added to the organization or group of your choice, where you will be able to set Admin, Edit, or Read access. 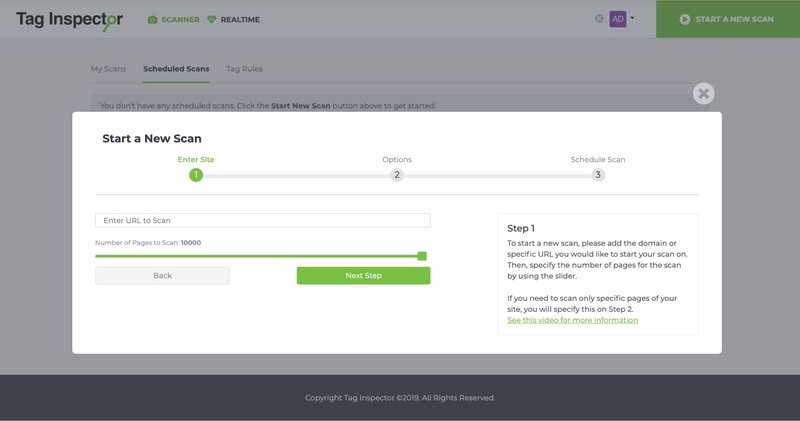 This new functionality gives our clients the flexibility they need to get both internal teams and external agency partners into the tool to set up and view audit results relevant to their sub-organizations, while also granting the admin visibility of marketing and advertising tags across the online ecosystem of digital properties. We hope that you are as excited about these product changes as we are! How will you use our new functionality to help you further your tag governance goals? If you’re interested in a more in-depth look, join us for our webinar on April 9 at 10 a.m. EDT for a full walkthrough.